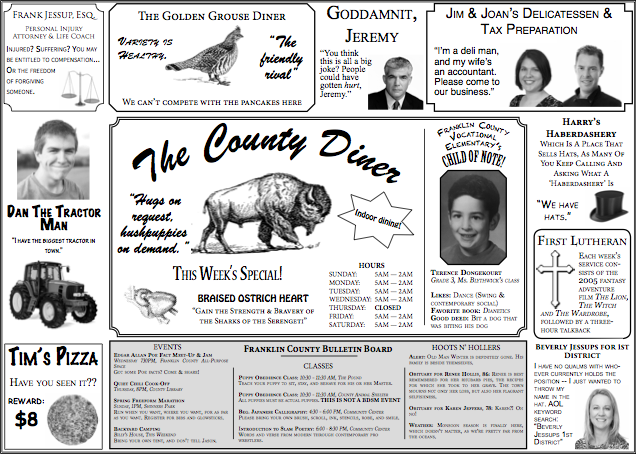 Radically changing the live dining experience, the County Diner Placemats Project lets you connect with the community and protect its tables. Sign-up below to receive word of new installments. Want to be notified when we release a new placemat? Subscribe to our email blast.